Hey y'all! On Sunday, I was invited to attend a Mother's Day event at my closest Kendra Scott store in Raleigh. I took my best friend for a morning of treats, jewels, and mom-osas! I was so excited to also run into my blogger friend Amy from Style and Sequins at the event! 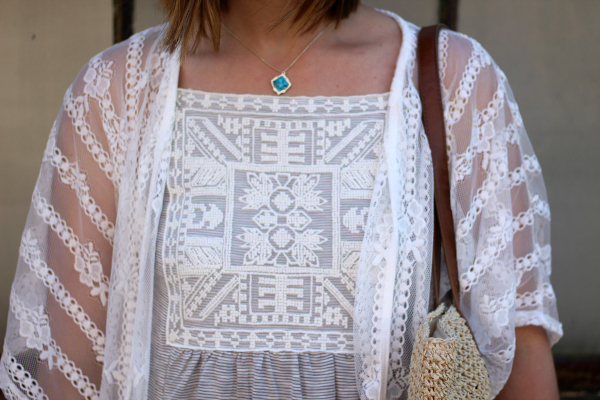 I went home with this gorgeous necklace that I am wearing in today's look. I also shared this necklace in this previous post. I love the turquoise so much! 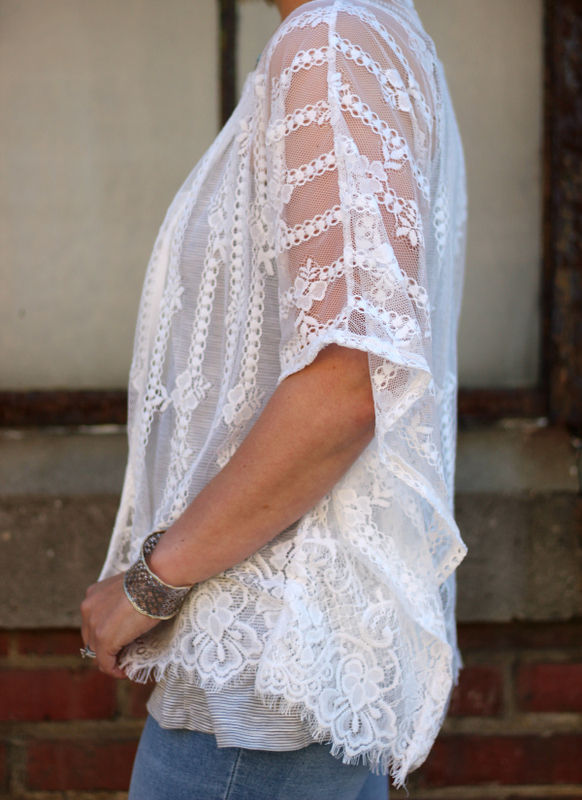 Today, I am styling another beautiful piece from Grace and Emma. 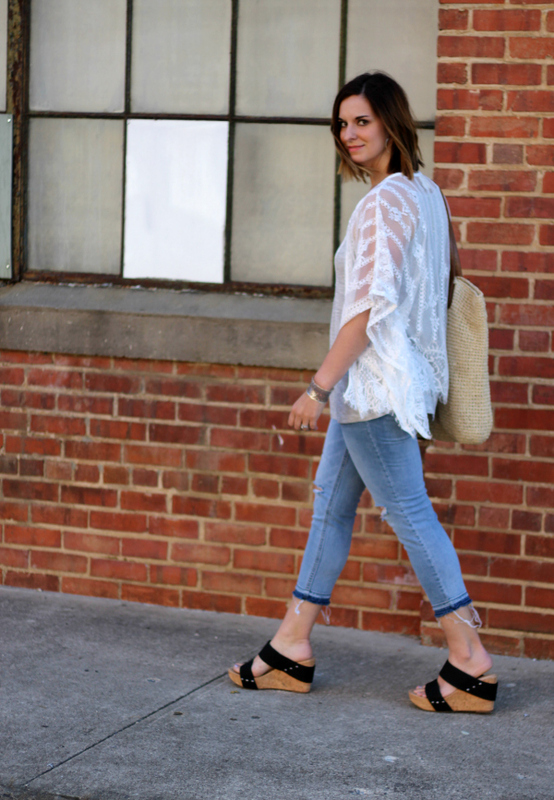 I am a big fan of kimonos this season because they add they perfect light layer to your spring outfit. I also have always loved lace because it's so feminine. 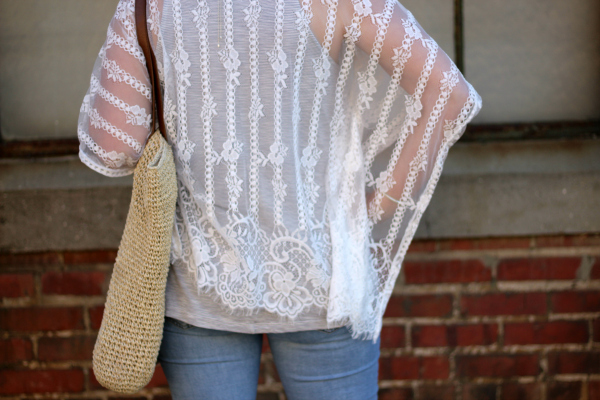 I paired this gorgeous lace kimono with an embroidered tank, distressed cropped denim, a straw bag, my new necklace, and wedges for a comfortably casual spring look. This kimono would also look so adorable over a swing dress or paired with a t-shirt and cut off shorts. Such a great, versatile piece to add to your wardrobe! I'm loving this whole outfit! It is so cute! Just love this entire look! That top is so pretty! Love how you styled it. Super adorable kimono! love your necklace too! The kimono is soooo cute, and it looks perfect on you!